At January’s SHOT Show in Las Vegas this year, I was speaking with a number of distributors and dealers who felt there was a need for a .308 caliber Modern Sporting Rifle geared toward the hunting market. We put our heads together and built the parameters for a light weight .308 rifle (9.05 lbs) that was balanced and comfortable to handle, without a lot of overly expensive features to keep cost under control. The result was our feature rifle for this month, the R20FFTM-308, and we think it all came together very nicely. The 20″ fluted barrel supplies long range accuracy, yet still keeps the weight down. The Magpul Fixed Length Buttstock brings multiple sling attachment options, along with a comfortable rubber recoil pad under which is a handy storage compartment for spare parts, ammo, compass, granola bars, etc. (well, maybe not all that at once!). The companion Magpul Rifle Length Forend offers multiple attachment options for M-Lok accessory rails and great internal heat shielding. A Hogue Overmolded Rubber Pistol Grip rounds out the ergonomic accessories and is the perfect, non-slip hunting pistol grip. As with many WW models, we opted to leave the choice of sight, scope or optics up to the individual hunter, as those choices vary so much between individuals. With Mil Std 1913 “Picatinny” rails on both receiver and gas block, we made adding those sight choices as easy as tightening the screws. So, if you’re looking to hunt big game with a .308 caliber Modern Sporting Rifle, we just did all the preliminary work for you. Happy hunting! And be sure to take advantage of our current Spring Promotion. We’re offering a 10% discount and free ground shipping on all orders of $50 or more. Just use Code “PHIL” at checkout. This offer is good through April 30th, so make the best of your Daylight Savings Time! See all our rifles and accessories at www.windhamweaponry.com or call us for a free catalog. What is an “F” marked front sight base? QUESTION: How do I activate my Windham Weaponry Lifetime Warranty? 2. Print the form from out website https://www.windhamweaponry.com/images/Warranty%20InformationForm.pdf fill it out and mail it to: Windham Weaponry, Inc., P.O. Box 1900, Windham, Maine 04062. Subject: 7.62×39 AR Upper is Accurate! Several months ago I purchased one of your 7.62×39 Russian Uppers and attached it to an AR lower. It fit fine! I wanted a target/hunting 7.62 bullet and a case with more capacity than the .223 Remington. I have had SKS’s and AK’s, and accuracy at 100 yds was 8-15 inches with commercial ammo! Your Upper produced consistent 1.75×1.75 inch 5 shot groups at 100 yds with Tula 154g. sp ammo! You have solved the problem of an accurate platform to shoot an underrated cartridge that is now both a target and hunting cartridge, and very economical, too! Thanks for an excellent product – made in USA!!! I purchased your Heavy Barrel Dissipator Complete Upper for an existing lower I had. Took it to the range and it shoots very well – tight grouping. Extremely happy with the purchase. Dissipator AR’s are (in my opinion) under appreciated and deserve more consideration. Good to see you guys make one not only in a standard profile but also in a heavy profile barrel as well! For the cooler days at the range or in the field, we offer this high quality Windham Weaponry long sleeve t-shirt. The WW script logo is screen printed in gold on the left sleeve, while the right sleeve shoulder area features an embroidered American Flag and the left chest carries the Windham Weaponry logo embroidered in gold. The 50/50 poly-cotton blend wears well and is machine washable. This long sleeve t-shirt features knit fabric cuffs and a rib knit neckband. Wear the Windham Weaponry name on your sleeve to show your choice of the finest AR’s in the country. It’s hard to believe, but Spring is finally here and with spring come firearms buying season. So, if you’re looking for ways to spend your tax return this year ,please reach out to Cindy or me so that we can help you purchase a new rifle or some needed accessories. I attended the ILEETA (International Law Enforcement Educators and Trainers Association) Conference in Chicago March 14th and 15th, and I would like to thank all of you that came by the WW booth to say hello and to order rifles for your department. 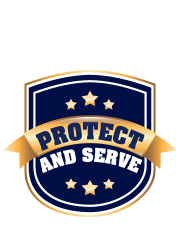 I’ll be heading to TX for the Texas Tactical Police Officers Association Conference from April 6th to the 8th, so if you are going to be attending PLEASE come by my booth and say hello. I would like to give a big WW thank you to the Wisconsin Department of Natural Resources for sharing a photo of some of their officers shooting their new Windham Weaponry rifles on range day at the Academy. Windham Indoor Shooting Range & Retail Store – Growing Excellence! 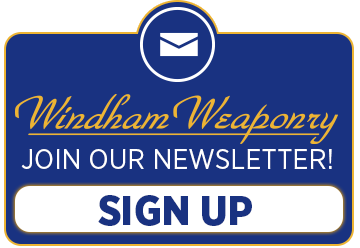 For several months now, the Windham Indoor Shooting Range and Retail Store has expanded its excellent offerings of classes for concealed carry, basic personal defense, advanced personal defense, and many other fields of firearms training. With their motto of “Training Begins at the Door”, you can be assured that their NRA qualified instructors, experienced gun counter sales personnel and attentive Range Safety Officers will ensure that you enjoy a satisfying shooting experience in a safe environment. The state-of-the-art 12 lane, 25-yard firing range is ready for your next practice session, recreational outing or corporate event. The Retail Store offers a broad selection of parts, accessories and ammunition, even antique firearms appraisals. If we don’t have what you want, our dedicated staff will order it for you. We are conveniently located in the Windham Business Park on Rte 302 in North Windham.